The day of the church having a favored status in the United States of America is over. The days of a casual, easy Christianity are gone. 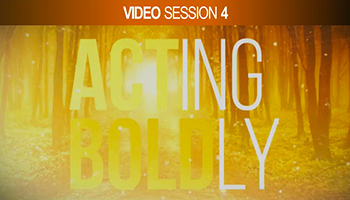 Today is a time that calls for boldness in our faith. Its time we pick up our Wesleyan heritage and apply it today, based on the Acts of the Apostles, and be a people who pray for boldness in their actions to make disciples of Jesus Christ for the transformation of the world. 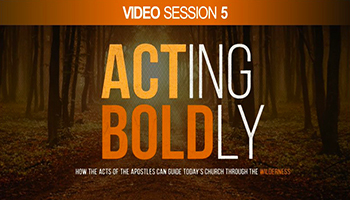 Welcome to the official site for Bishop Lowry's new video Bible Study series - ACTING BOLDLY: How the Acts of the Apostles Can Guide Today's Church Through the Wilderness. 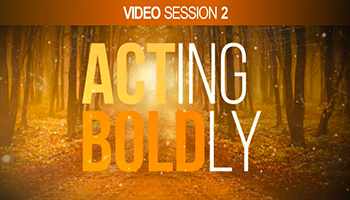 This video Bible study offers practical insights on how the Church can remain faithful to its mission in an age of frenzied change. We live in chaotic times, and in these times of change and chaos, the Book of Acts speaks to local churches with powerful examples and instructions on how we as the church and individuals of faith can gracefully and boldly step into today's world and remain fully faithful to the gospel of our Lord Jesus Christ. The Acts of the Apostles (often called the Fifth Gospel) provide a teaching that is more central to our life as a church today than it has ever been in modern history. So do the actions and teachings of the leaders of the early Methodist movement, most of which are greatly influenced by the Acts of the Apostles. This study is designed to be a deep Bible study that is intended to take your class discussions and considerations into uncharted territory – the wilderness if you will. To access a video or discussion guide, simply click on the image for the video and/or discussion questions you wish to view or download. The videos are available for download in several file sizes. Once you click the download button below the player, please select the size and format that is best for your church/small group. TIP: The larger the file size, the better the quality, but the longer it will take to download. 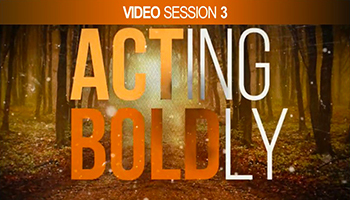 Click here to follow the Acting Boldly Vimeo Channel. If you don't have the capabilities to download and share this series and would like to request the videos on DVD, please click here. Click on the image below to download video.